Shopping for the young ones can be a traumatic experience when one meets size 6 and size 6X not knowing what the key difference between these sizes is. Other sizes do not have the X-version but only the size 6, which signifies an important transition in the girl’s growth. There are some kids who do not fit well in either size 6 or size 7, but in between, hence the emergence of size 6X. This article unfolds the dimensional differences between these two sizes. Size 6X is basically a true size that lies in between size 6 and size 7. It is an inch bigger than size 6 and an inch smaller than size 7. And it is about 2-inch longer in length than size 6. Kids, especially girls, experience a growth spurt from age 6. At size 7 that is when girls become “big” girls, and so there was a need to bridge the gap between size 6 and 7 hence size 6X emerged. Size 6X is, however, not available for young boys. It is only a girl’s size mainly due to growth patterns between the two genders. Girls tend to shoot up in height after size 6, and unfortunately the bodily dimensions are not yet adequate for size 7. Size 6 is the only one with an X-version. There is no 5X, 7X, 8X, etc. 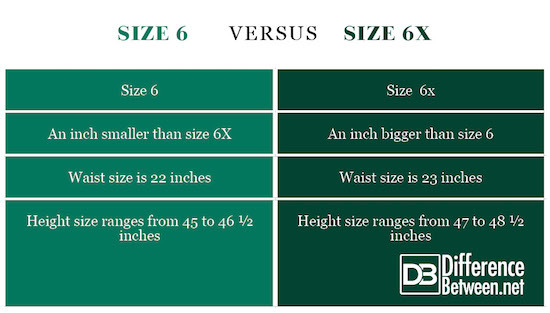 The normal dimensions for size 6X are 38 to 44 pounds in weight and 47 to 48 ½ inches in height. The chest measures 26 while the waist measures 23 inches. Size 6 follows size 5 and precedes size 6X. It measures 45 to 46 ½ inches in height, 25 inches for the chest, and 22 inches for the waist. From these measurements it is clear that size 6 is an inch smaller than size 6X. In general, children clothes can differ from country to country because there are standardized measurements worldwide to guide manufacturers. The United States, for example, use age as a guideline for size classifications whereas Europe and other parts of the world use mainly height and weight dimensions. 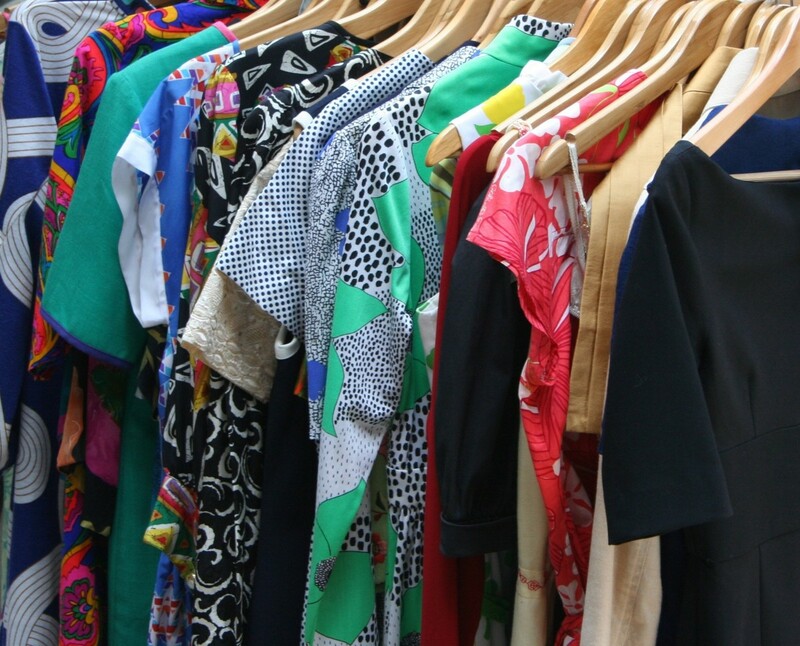 Waist, chest and sometimes hip sizes are also considered by other manufacturers. Size 6 and 6X refers to girls’ clothing whereby size 6 is an inch smaller than 6x and 2-inch shorter in length. Size 6 has a waist size of 22 inches while size 6X has a waist size of 23 inches. The height range for size 6 ranges from 45 to 46 ½ inches whereas size 6X ranges from 47 to 48 ½ inches. Size 6x is an inch bigger than size 6. It lies between 6 and 7. Size 6 height ranges from 45 to 46 ½ inches while size 6X ranges from 47 to 48 ½ inches. Lusi Madisha. "Difference Between 6 And 6x." DifferenceBetween.net. July 30, 2018 < http://www.differencebetween.net/miscellaneous/fashion-beauty/difference-between-6-and-6x/ >.